The eyes are a beautiful, unique feature of the face that generally reveals the earliest signs of aging. Eyelid lifts are growing in popularity because they promise a more youthful, rejuvenated appearance. For those who have undergone a previous eyelid lift with unachieved results, Dr. Ben Talei, a dual board certified facial plastic surgeon offers eyelid revision surgery as well as other revision surgery options. Eyelid lifts are one of the more complicated procedures of facial rejuvenation. But, if an eyelid lift is performed too aggressively, removing too much excess skin and tissue, it can leave too little eyelid to make it fully functional. When too much of the eye is left exposed through an aggressive eyelid lift it can lead to eye dryness and ultimately eye damage. On the other hand, if too little tissue and skin is removed in the initial procedure, patients can be left with excessive skin issues and bags that brought them to have the procedure in the first place. Dr. Talei is one of the most highy trained and skilled surgeons in the industry. He has dual fellowship training in Facial Cosmetic and Reconstructive Surgery, Vascular Birthmarks and Congenital Anomalies with Laser Surgery. His keen, artistic eye and delicate surgical hand gives his patients natural, youthful results they can be happy with. During your consultation, you can explain to Dr. Talei what you hoped would be achieved in the previous procedure and what you would like to see done in the revision surgery. 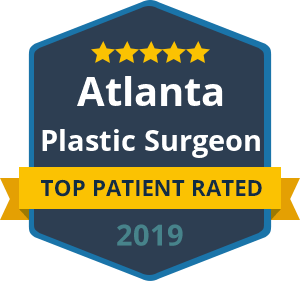 With this information, Dr. Talei can customize a surgery plan to accomplish realistic goals of the patient yielding natural, youthful results. Because he does not prescribe one size fits all procedures, you can trust that Dr. Talei will go to great lengths to plan the perfect solution for your revision surgery. If you feel you could benefit from this surgery, contact our Eyelid Revision Surgery Specialists at the Beverly Hills Center for Plastic & Laser Surgery to schedule your consultation. We look forward to hearing from you.